SUP or paddle boarding is an excellent way to make your day active and fun. This activity can be easily learned and is accomplishable to anyone regardless of age or fitness level. 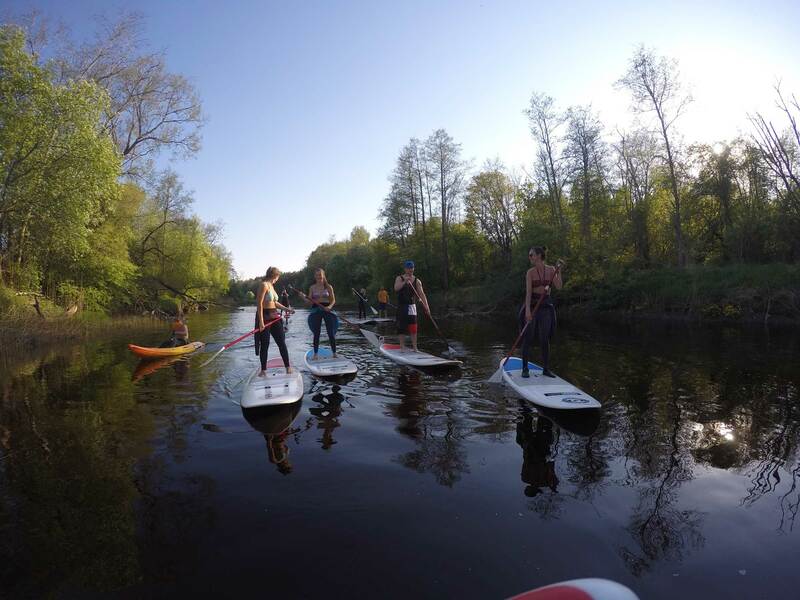 A SUP trip on the river is an excellent opportunity to see places where you would not go otherwise, the fantastically beautiful river banks, bridges, rapids, parks – you can explore every nook and cranny of the river on a paddle board. The price starts from 30 €/person and includes a tour guide, SUP equipment and calypso. The trip lasts 1.5–3 hours, your choice! Come with your friends in order to enjoy the gentle flow of the river and refresh your mind and body!